Rumor: 3DS Allows Game Installs? 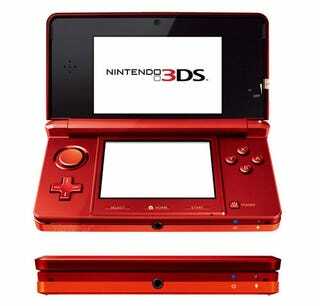 It's a feature that wasn't disclosed during the public unveiling of the Nintendo 3DS, but Japanese business newspaper Nikkei is reporting that the new handheld will allow users to install games on its onboard storage. According to the paper's report, "multiple games" can be installed off their original cart, meaning users could stock up on a few titles and take them on the road without needing to swap cartridges. As the report comes from a business paper (not specialist press), and hasn't been confirmed as a feature by Nintendo, we're labelling it a rumour for now. If it's correct, though, it's an interesting case of piracy affecting console design for the better. One of the key reasons people like to use R4 cartridges (aside from the obvious cost "savings") is the convenience of having games stored on a single cartridge. If the 3DS allows users to do that officially and legally, who knows, maybe it'll make a dent - if only a small one - on the levels of piracy on the handheld. Or the handheld's onboard memory will only make piracy more convenient, since people won't even need cartridges to store their games on any more. Guess we'll see how it pans out in a year or two!